California is an “at-will” employment state, meaning that employers do not have to have any reason at all to fire or let go of a worker. Despite this fact, however, not all firings in California are lawful. And understanding when what constitutes a wrongful termination in California can be essential to protecting your rights as a worker. At Koron & Podolsky, LLP, our Sherman Oaks employment lawyers are committed to advocating workers’ rights and help them pursue justice when they have been wrongly terminated by an employer. Experienced and equipped with the resources of a large law firm, our attorneys are ready to take action on your behalf, helping you hold a former employer accountable for violating your rights while bringing your case to a successful resolution. As a result of their race, religion, gender, state of pregnancy, age, disability, and/or country of origin – These firings represent a violation of workers’ Title VII rights (as provided in the Civil Rights Act of 1964). In violation of a contract – This can include both written and oral employment contracts between an employer and an employee. Who have exercised their whistleblowing rights – This would constitute employer retaliation. In violation of public policy – This can involve firing workers who have taken time off of work to serve in the military, vote or serve on a jury. Constructive discharges may also constitute wrongful terminations. This involves employers creating a hostile or intolerable work environment in order to force workers into quitting. 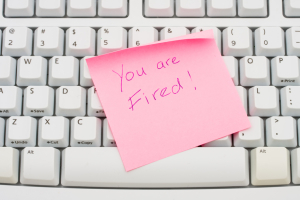 Proving wrongful termination – In wrongful termination cases, establishing the facts surrounding the terms of employment and the nature of the firing will usually be critical. This can make items like letters or emails, copies of employment contracts/performance evaluations, and even call logs important to proving that a firing was illegal. Other important evidence can include employee handbooks, written company policies, internal company memos, etc. Possible remedies – Depending on the details of a wrongful termination case, it may be possible to obtain damages for lost earnings (from the time of the firing up to the date on which you obtain a new job); the value of lost benefits (for the same period of unemployment); and emotional distress and attorneys’ fees. If you have been wrongfully terminated from a job, contact a Sherman Oaks wrongful termination lawyer at Koron & Podolsky, LLP to find out more about your options for justice. Known for providing aggressive legal advocacy, our lawyers are exceptional litigators who are dedicated to protecting our clients’ rights and advancing their interests through all phases of litigation. The superior representation we provide in court is matched outside of court by our fierce negotiating skills, our personalized legal services and our dedication to our clients.